test that says if you are exposed to over 85 dB for more than eight hours in a twenty four hour period, you are in danger of doing repairable damage to your hearing. 85 dB is about the level of sound coming from a kitchen blender at six feet, when it is crushing ice. If the sound level is higher than most people can shout, it is clearly over 85 dB. The amount of exposure allowed is cut in half for every five dB of increase. So sound equal to an average lawn mower (about 105 dB) would be damaging at 30 minutes in a 24-hour period. Remember that these measures are cumulative, so the exposure from blending the ice must be added to the lawn mower exposure and to the music you listened to last night, when totaling your allowable exposure. If you are wearing headphones to listen to music and someone can hear and understand the music standing beside you, you are likely doing damage and will cause hearing problems. Most experts will argue that the OHSA regs are too lax. European standards are much more strict in the allowable amount of time you can be exposed to levels higher than 85 dB. There are thousands of tinnitus treatments or tinnitus remedies that may temporarily reduce the tinnitus symptoms; we have no known cures for tinnitus. Without a doubt, the most broad spectrum and most common relief or treatment for tinnitus comes from wearing a hearing aid that compensates for the hearing loss and ear ringing that caused the inner ear problems. Most people, who are properly fit with hearing aids, report that they receive partial to total relief from the buzzing in ears while wearing the hearing aid. Many of those people continue to get a short period of relief even when they remove the hearing aid to go to bed. Just as there are many causes of tinnitus, there are many claimed “tinnitus cures”. It depends on the circumstances of your particular case; as to what, if anything, will relieve some of your ringing ear. There are several things that you can do in your diet and lifestyle that can possibly help relieve some of the symptoms of tinnitus. Avoid damage to your ears in the first place. 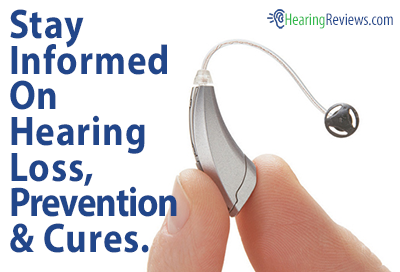 Wear a good hearing aid, if you have a correctable loss. Avoid caffeine (in excess), alcohol (in excess), aspirin (in excess), tobacco products, and stress. Most anything that causes small highs and lows in your blood pressure, will exacerbate your tinnitus. There is no single hearing aid that is better than another, when it comes to providing tinnitus relief. That is first of all assuming that your tinnitus therapy can be relieved by wearing a hearing aid. There are some tests that your professional can do that will give you some idea of whether there is a chance that the tinnitus can be masked out by the use of a hearing device. If your professional is not familiar with these tests, perhaps you may wish to seek the assistance of another professional for tinnitus treatments or for alternative tinnitus research. The key factors in the make up of a hearing aid that make it more likely to provide some relief for the tinnitus would be the range of frequency response, “head room” in the device and power of the device at the frequencies that are most able to be helped. Your hearing is spread across a wide range of frequencies. If the device only covers a small number of them it is less likely to have power and range to address many tinnitus cases. This is especially important in the higher frequencies. Many less capable hearing aids only have controllable frequency response to 3K or so. Decent for hearing and understanding in many cases, but useless if your tinnitus maskers require 6K. Head room is the amount of reserve gain the hearing aid has over the amount being used to cover the hearing loss. Generally the patient has a pain tolerance that sets the upper limit that the hearing aid can produce. 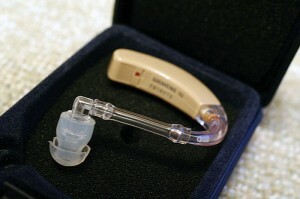 Many less capable hearing aids begin to go into feedback before that level is even reached. Head room would be measured by subtracting the amount of gain needed to address the loss from either the output limit or the feedback limit of the hearing aid at the frequency in question. The higher the quality of the aid and the better the fitting of that aid, the more headroom in that aid.Ringing in the ears cause is broad but many professionals have a online symptoms checker process that that may relieve your constant ringing in ears. Ask your ear professional today for ringing in ears treatment. 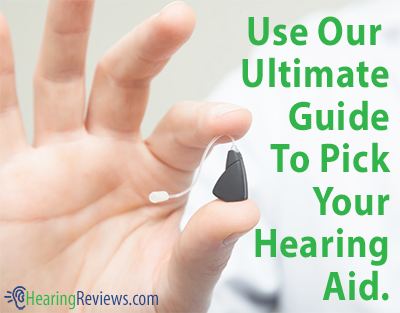 The quality of the hearing professional is more important than the brand of the hearing aid. Shopping by price, brand or the number of letters after a professionals name and ignoring “gut” feeling about the quality of the professional, are good ways to become disappointed. I lost my hearing at a tender age of 12,now,am 25. I always experience a loud noise or ringings in my hear,and due to my poor background,i have not yet got a potential hearing test and treatment. Right now,am still living with d problem,but i want to know if i can still go for the test and treatment after my graduation from d College and i start working,considering that the problem is a long one. I need your advice please. spent $$$$$ no one has helped,I TRY MY BEST TO IGNORE it,get involved in a project,takes you mind away from it. Dear Malik…If you reside in the USA, most hearing aid dispensers, will evaluate your hearing, for free (and hopefully your tinnitus). They might be able to point you toward some financial help VIA dept of Vocational rehab, or the lions club, Jewish social services, etc.